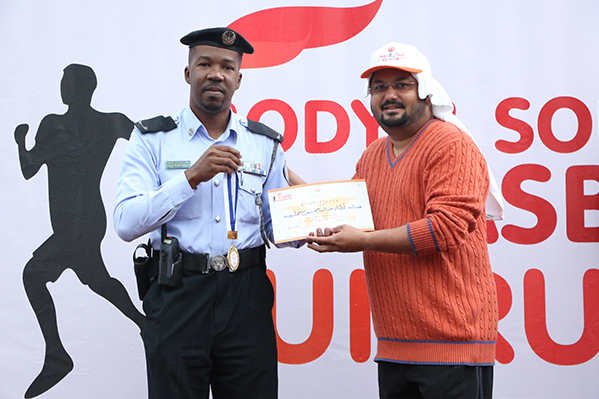 Body & Soul Health Club and Spa, the award-winning network of health clubs operated by the Hospitality Division of Thumbay Group – UAE organized the ‘Annual Fun Run’ in Al Qasba, Sharjah, on Friday 25th March 2017. 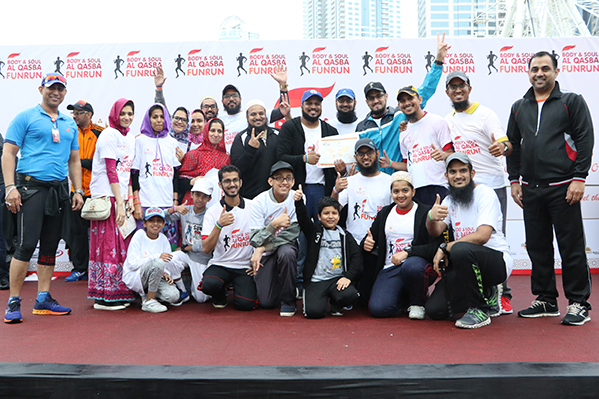 Conducted as part of Body & Soul’s endeavors to promote healthy lifestyles among the residents of the UAE and to stress the message of staying fit among people of all age groups, the Annual Fun Run saw the participation of men, women and children in large numbers. Races were held in the following categories: Individual (men/women), Kids, Corporate/Group and Special Needs Runners. Prizes included cash awards, trophies and certificates. There were special prizes for schools, colleges and corporate teams with the highest participants. 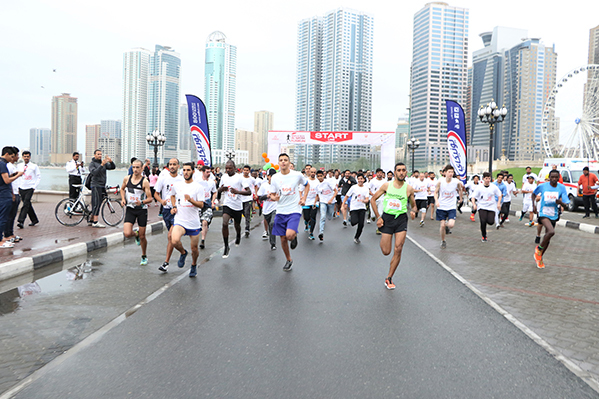 Over 2000 people participated in the Fun Run at Al Qasba, this year. Participants also won exciting raffle draw prizes, in addition to free ‘Fun Run’ t-shirts. 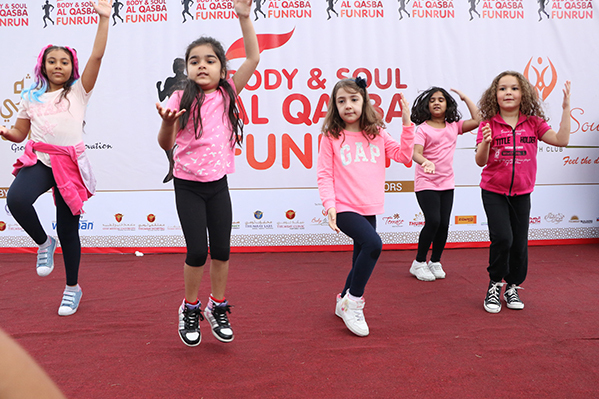 Besides the regular races, various fun activities such as Aerobics Demonstration, Spinning, Zumba, Low Fu, Kick Boxing, Karate, Face Painting, Family Fun and Games were also conducted, to make the event a family fun day. 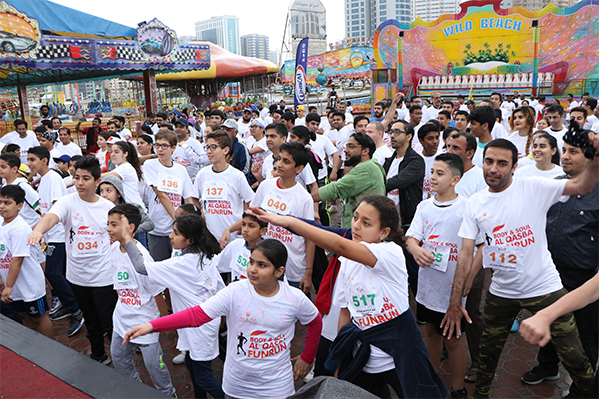 An initiative conceptualized by the founder president of Thumbay Group, Mr. Thumbay Moideen, the Fun Run aims to engage the community to participate in a healthy and fun event to promote healthy lifestyle practices and underline the importance of regular physical activity among the residents of the UAE. “The Annual Fun Run is a day of fun, camaraderie and fitness. We are happy to host this event every year, participated by men, women, kids from all age groups. The Fun Run not only spreads the message of the importance of healthy diets and physical activity amongst the UAE residents, it also effectively creates consciousness in a way that people can enter the conversation safely and happily in a fun-filled environment,” said Mr. Farhad C., Director of the Hospitality Division of Thumbay Group. He added that Thumbay Group was committed to raising awareness on health, wellness and fitness, among the public. 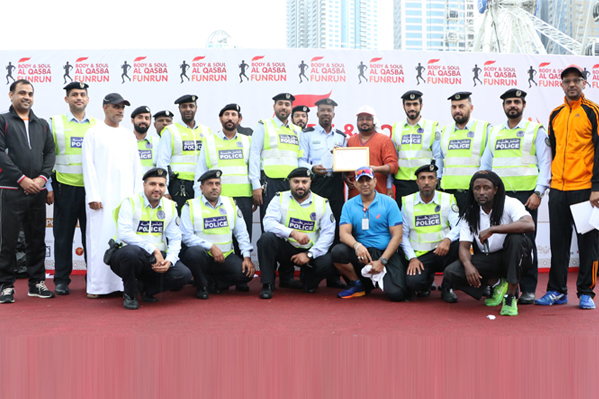 All participants of the Fun Run received certificates. This year’s event was supported by the General Authority of Youth and Sports Welfare – UAE, Sharjah Sports Council, UAE National Olympic Committee, Sharjah Police, UAE Sports for All Committee, Al Qasba, and Thumbay Clinic.